Yesterday after I finished an interview for work I walked through downtown. It was late afternoon and the entire area was filled with kids trick-or-treating. Trick-or-treaters on Center Street. The stores in this area gave out candy Wednesday afternoon. Kids and parents in the plaza outside the convention center. 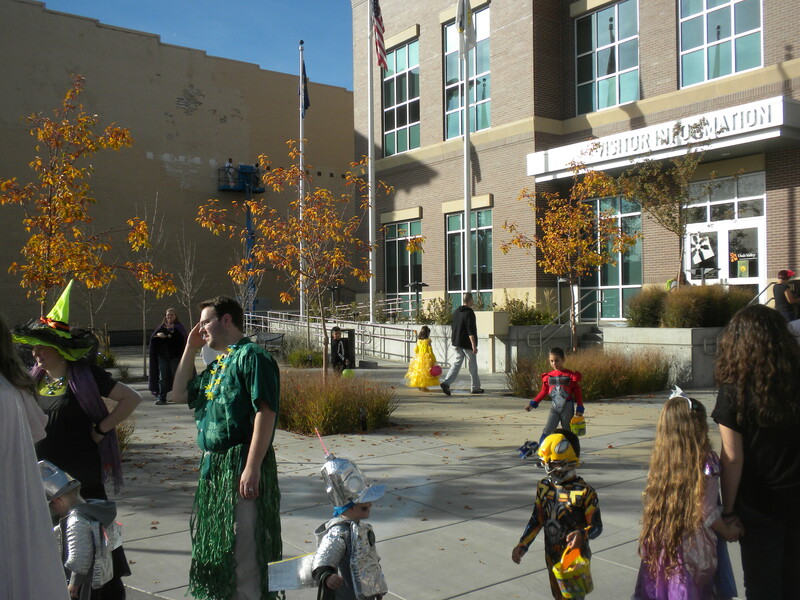 Seeing all these families out reminded me of Tuesday’s post about the “trick-or-treat test,” the importance of “door density,” and how great neighborhoods are good for kids and everyone else. Most of these kids probably went back and trick-or-treated in their own neighborhoods, but they also came downtown for a reason: in the end, it’s a good place for trick-or-treating because it’s a pretty well designed place. There are big sidewalks, beautiful buildings, and trees. Blocks have extra cross walks. Cars can’t drive faster than 15 mph. And buildings are close to the street. And seeing all of this made me wonder: why aren’t we building neighborhoods that look more like downtown? Sure, every street can’t be lined with stores, and downtown itself is likely to get some improvements soon. But regardless, people like it. Everyone I know who comes to Provo comments on it. And though it may not always be the liveliest place in the world, it’s probably the liveliest place in Provo, or Utah Valley for that matter. The point here is that all of those elements I mentioned above could easily be incorporated into residential neighborhoods. Houses can be beautiful and located close to the street. Residential streets can also have low speed limits and frequent cross walks. And in the end, more neighborhoods should have many of the elements that everyone loves in downtown. 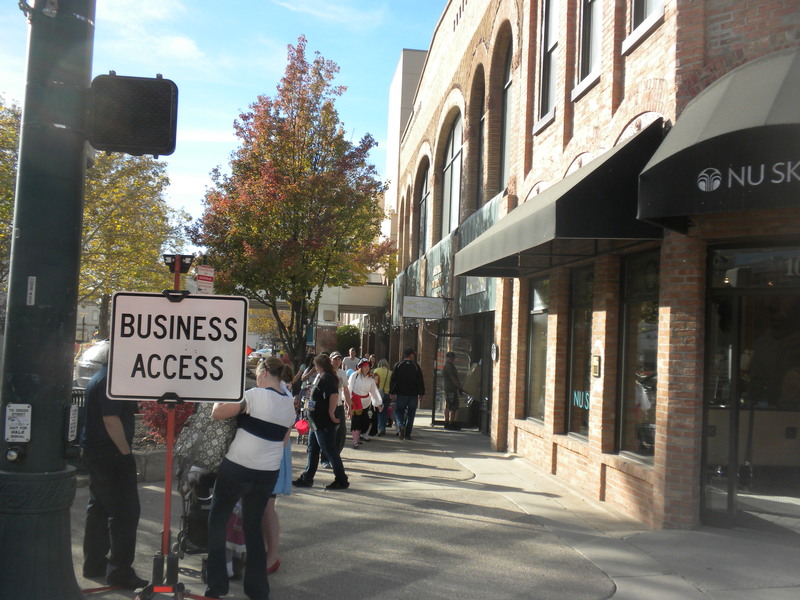 People love downtown, so it makes sense to build more neighborhoods with similar elements. Earlier this week, I suggested that improvement in a city should happen incrementally. Then, a couple of days later, I found this post by Otis White suggesting something similar. But an awful lot of bold community changes can be tried out before being fully implemented. And if you’re proposing a big change, that may be the smartest way you can offer it: as a test. Find a place in the city where you can demonstrate the change and its benefits so everyone can see it. If it’s as successful as you expect, you’ll dramatically lower the fear level, and by the time you ask citizens and their leaders to accept the rest (a built-out transit system, a mixed-use development in their neighborhood, a new kind of recycling), it’s less like a leap of faith and more like a hop. White’s post goes on to suggest some great, viable-sounding solutions for actually getting things done in a community. It’s also worth noting that both White’s concept and the one I mentioned a few days ago are similar to Jane Jacobs’ emphasis on “gradual money” that slowly gets invested in a community. She contrasts that idea with “cataclysmic money” that comes on all at once, causes dramatic change, and is negatively disruptive. This approach seems perfect for a community like Provo where change — in the form of increased density, infill and development — is needed but often resisted. In fact, since I’ve been writing this blog I’ve been told again and again that people just won’t stand for anything slightly disruptive. The home on the right is a hypothetical addition that would be built on what is currently a wide street. No community would support wide-scale implementation of this concept, but selling residents on a very limited test run might work. That’s certainly true to some extent, but I can’t help wondering if one of the problems has been the way issues were historically framed. After all, when sweeping projects are mandated from on high by government or wealthy developers even the most rational person can switch into NIMBY mode. In any case, I like White’s approach. It’s very similar to the way I envisioned Provo converting over-wide streets into housing, but it could be applied in an array of scenarios to help give all of us a taste of good development. This project would work, but it’s worth testing so everyone can see how that might happen. Not all bike riding is created equal. Sometimes it’s really dangerous, and sometimes it’s not. In light of this kind of evidence, there’s less and less justification for delaying bike infrastructure construction. But the article doesn’t just touch on safety. 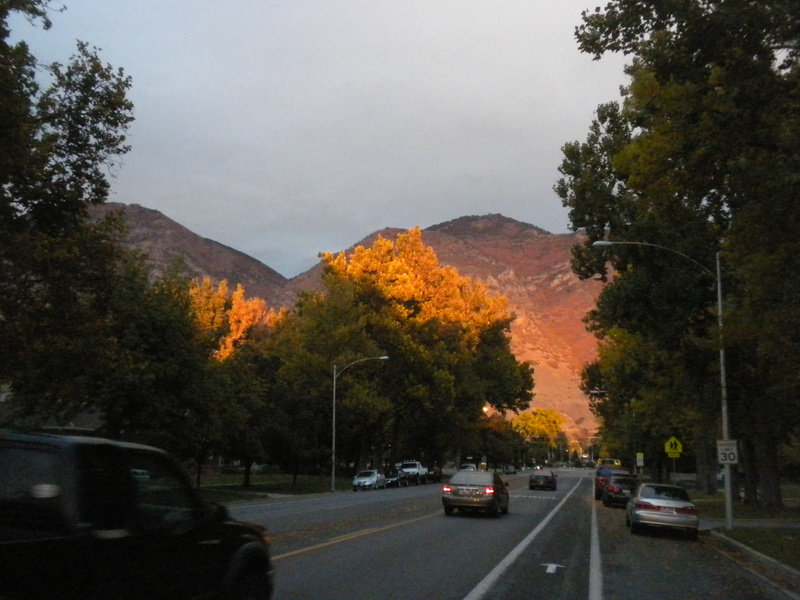 A bike lane on Center Street in Provo. Making one more logical leap, it stands to reason that much like induced demand for car infrastructure, better bike lanes will lead to more biking. On a related note, via Twitter Megan Geilman shared the video below with me yesterday and I found it so inspiring I wanted to mention it here. The video details how the Dutch built a world-leading bike system. Not surprisingly, it was by fighting against the kinds of things I criticized in yesterday’s posts. 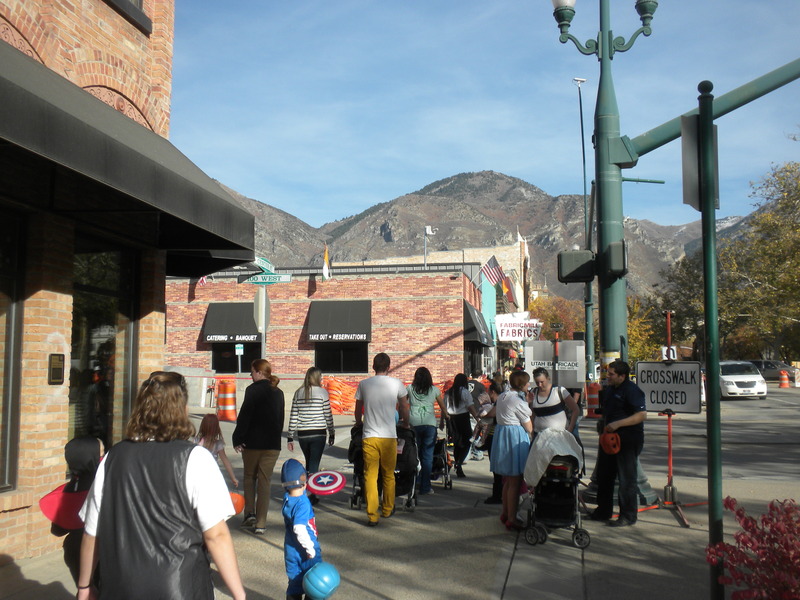 Occasionally in Provo someone will talk about their desire to see the downtown neighborhoods gentrify. And while gentrification can get out of hand — and frequently connotes something negative — I’m inclined to agree in this specific case; downtown saw so many years of neglect and poor policy that at least the beginning stages of gentrification would be an improvement. What sometimes gets left out of the discussion, however, is that gentrification doesn’t mean freezing neighborhoods’ composition. Instead, gentrification requires evolution and building new structures even as the old ones are preserved and improved. Or at least, that’s the idea behind of a recent article in the New York Observer. The article points out that as multifamily buildings are restored to single family dwellings — a popular, if yet unfulfilled, dream in Provo — the amount of housing for middle class people drops. A smaller supply then increases prices for everyone and ultimately drives up the cost of living. Translation: converting old houses back to single family homes makes it more expensive to live in a neighborhood. 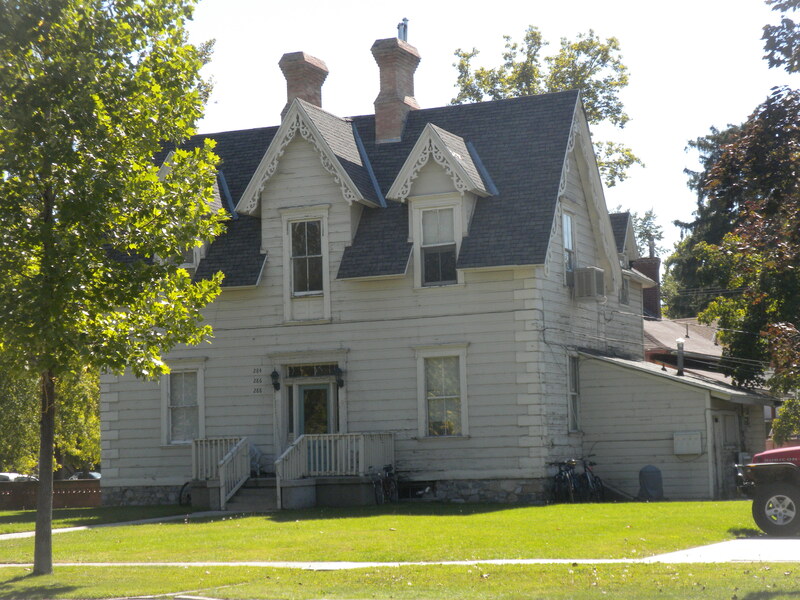 A historic home in Provo that is badly in need of restoration. This house has also been divided up into multiple units. The logical solution is to add housing. Though the article doesn’t quite move beyond lamenting the homogenizing effects of gentrification, the goal really is to maintain — or, actually, increase — the supply of housing. In other words, restore the old mansions but don’t price out the young families while doing it. Like New York but on a vastly smaller scale, Provo has old houses that have been chopped up and used for lower income or student housing. Some of these homes are beautiful and would benefit from restoration. 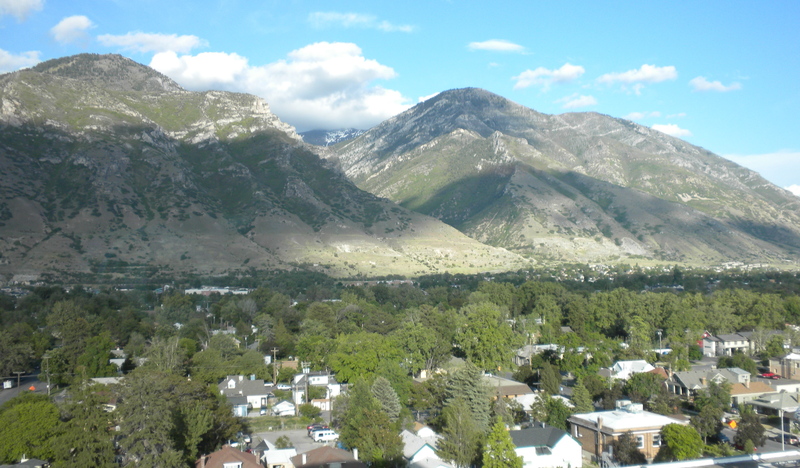 But if that restoration isn’t accompanied with more building in the same neighborhoods, Provo will become a place where families can’t afford to settle down. 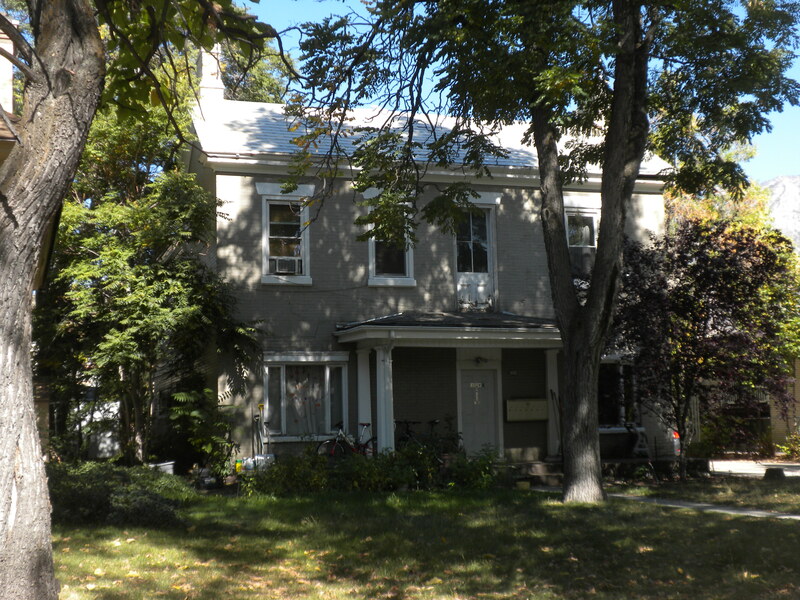 Another historic home in Provo that is currently a multifamily structure. KSL recently reported on a “farmer without a farm” in Salt Lake City. In a nutshell, the story is about a guy who has no land so he uses other people’s space to grow things that he then sells at farmer’s markets. While the information in the story itself is pretty minimal, it illustrates an important but oft-overlooked point: communal gardening only works in places with high density housing. 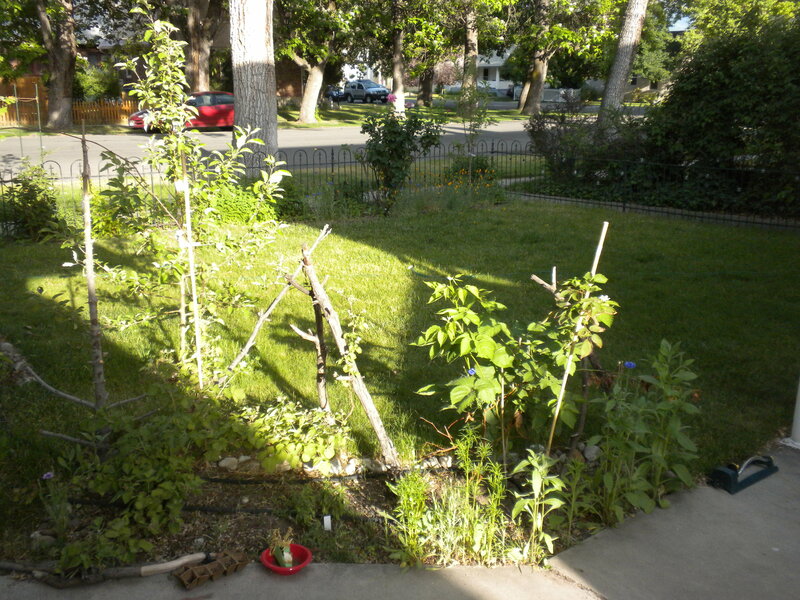 In other words, people who generally participate in community gardening opportunities are those finding themselves in situations like the man in the KSL article. 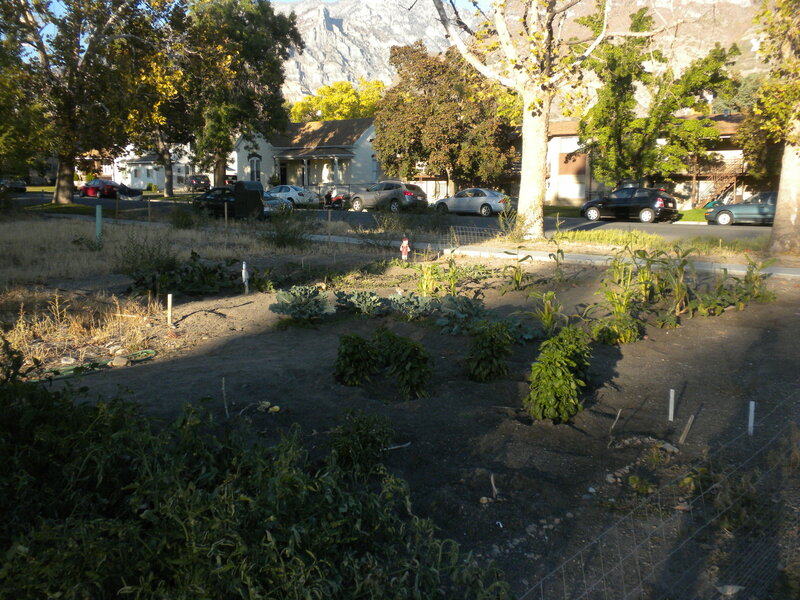 A community garden in Provo. If communities want to encourage community gardening — and I think they should — they also need to encourage development that includes fewer individual gardening spaces. By contrast, if everyone has their own backyard garden — or at least the space to plant one — there’s very little incentive to participate in community gardens that might require slightly greater investments of time or money. In my experience, community gardens are a popular idea. They conjure up idyllic images of neighbors planting, harvesting, and communing together. They can obviously provide healthy and inexpensive food. They are places for people to come together. For all of those reasons, I join with others in believing that they should be more common. But at least in Provo, the presence or absence of community gardens is entirely symptomatic of broader development patterns. Ultimately, if residents want more community gardens, they’ll have to actively encourage denser development. One of many gardening spaces at my house. Like many people, I have plenty of space to garden at my house so it’s unlikely that I’d have much reason to participate in a community garden.